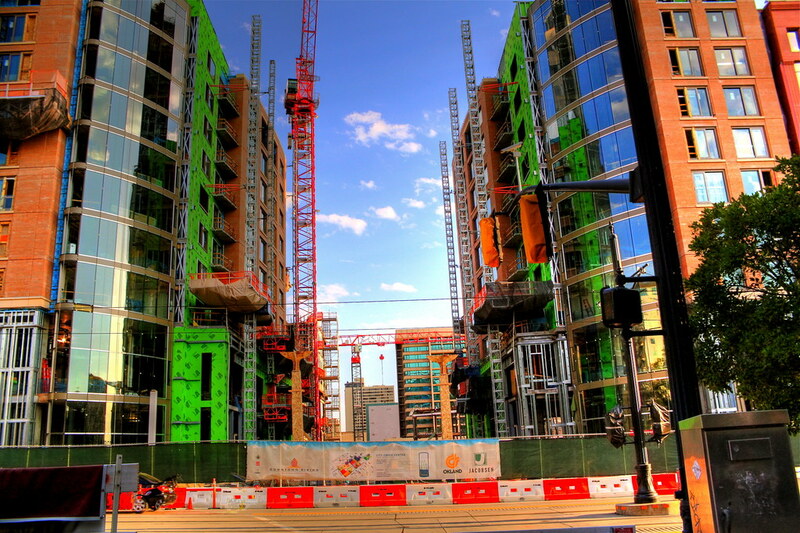 Richards Court are also condo buildings that are part of the City Creek Center. These two condo towers sit directly south of the Salt Lake Temple. They stand where the entrance of the Crossroads Mall once stood. They are just wrapping up and look like they are turning out pretty well. This will also be an entrance into the City Creek Center. I will continue to have updated photos of the progress as the finishing touches are put on these and the landscaping begins to come together between them. It's hard to believe that only 3 years ago, the mall once stood here with Borders books on one side and a McDonalds on the other. Much better look now. This has been one fun project to follow.